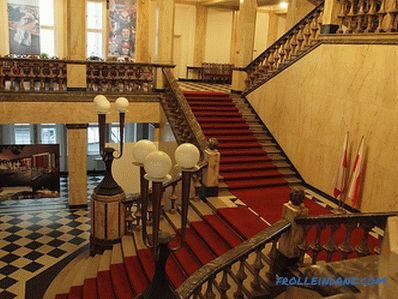 The Art Deco style in the interior was designated in the first half of the twentieth century. Its appearance was preceded by the events of the First World War, a tough economy regime, and the deficit position of the countries participating in famous events. 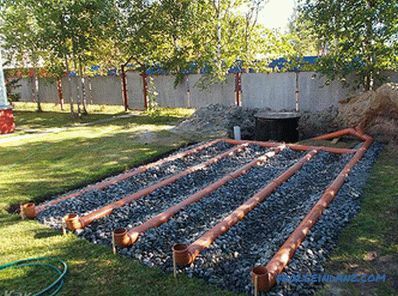 That is why the creative intelligentsia and the aristocratic elite, forced to lead an almost ascetic lifestyle for a long time, chose luxury apartments, luxurious luxury interiors, exclusive and expensive furnishings. 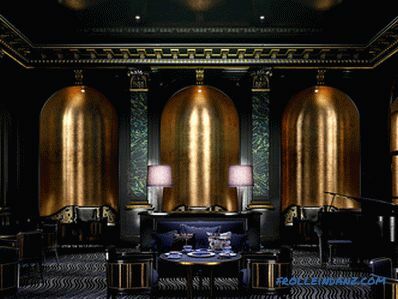 Today Art Deco is chosen to decorate status interiors, boudoirs of movie and pop stars, famous artists and musicians. 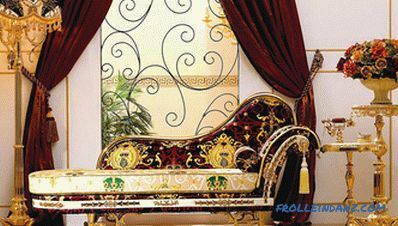 For decoration use expensive finishing materials - stingray or crocodile leather, ivory, amber. Sculptures of beautiful girls in expressive poses, portraits and busts of famous people, original paintings of famous masters and designer furniture are used as decoration. 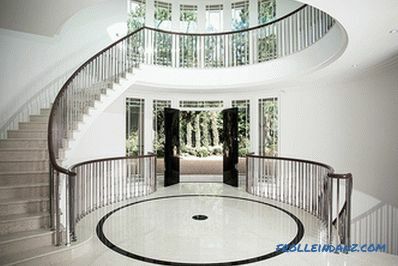 Also recognizable feature of the style are geometric patterns that adorn various surfaces and materials. In the main design palette, use a dominant bright color or a combination of contrasting colors. Most often - black and white. Atr Deco received its name in 1925 after holding in Paris an exhibition of modern decorative and industrial art ("Internationale des Arts Decoratifs Industriels et Modernes" ), which was attended by many countries, including the USSR. 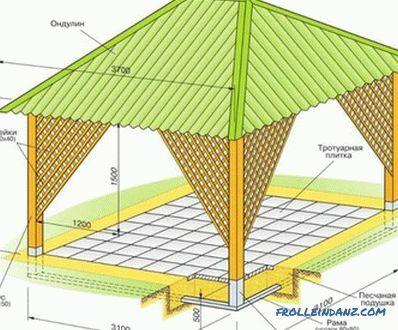 It was presented many innovative for the time of development in the field of architecture and interior design. 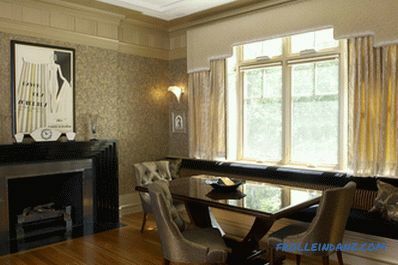 In the 20s - 30s of the twentieth century among the designers was popular interior design in the style of Deco. This is how residential apartments, banquet halls of expensive restaurants, exhibition galleries were designed. The style has absorbed the spirit of time and travel, it is filled with ideas of historical eras and recent discoveries. For example, the discovery of the tomb of Tutankhamen, the study of the traditions of the Aztecs and the Mayans was reflected in the interiors. A new wave of popularity has covered Art Deco already at the end of the twentieth century. 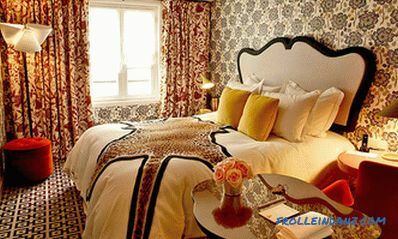 Designers rethought the basic features of the style, and he triumphantly returned to European interiors. 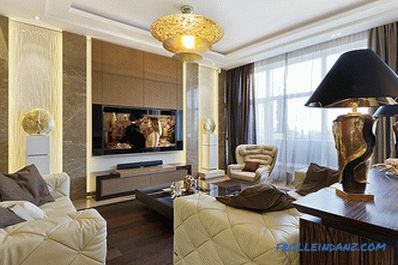 Now they began to combine expensive appliances and furniture along with luxury room decoration. 1. 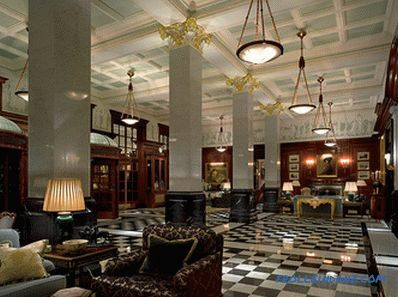 The geometric pattern that adorns the walls and ceiling is the main feature of the Art Deco interior. 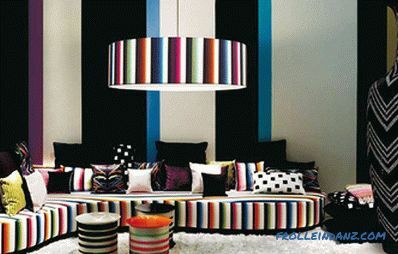 Zigzag and straight lines can decorate furniture and textiles. Round motifs often decorate the ceiling and are reflected in direct proportion to the floor, repeating on the furniture or in the decor. 2. Expensive and rare natural materials - in the center of attention. 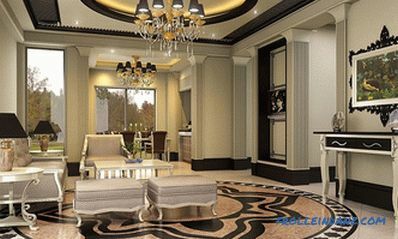 So, in the living room can be an exclusive furniture set of crocodile skin, door handles can be inlaid with ivory and platinum. 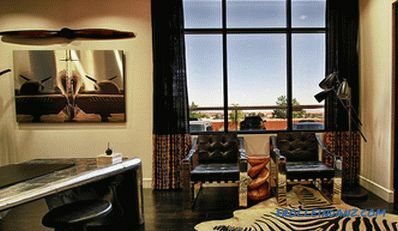 Instead of a carpet on the floor, a zebra or leopard skin can be used. 3. The color scheme of the premises is based on the principle of contrast. 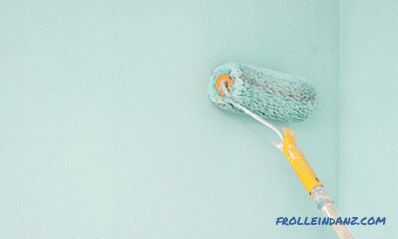 As a rule, they combine strong juicy colors from dark and light shades. The traditional: white and black, white and purple, gold and red, gold and black, white and brown. 4. Denial of austerity and minimalism. If the space is organized in the Art Deco style, then it is not customary to use inexpensive materials and save on furniture or lighting. 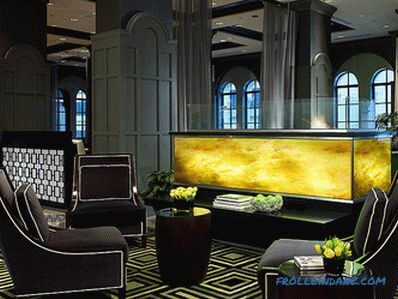 The interior design of Art Deco does not create the impression of an expensive one, it really is. Color is designed to emphasize the status of the interior. 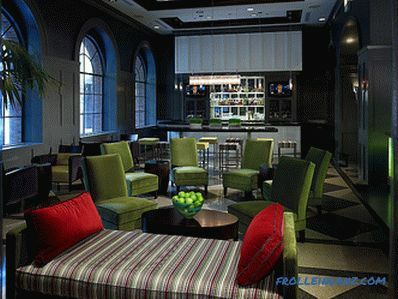 Along with the use of the contrasting principle, color combinations are used and similar in color. 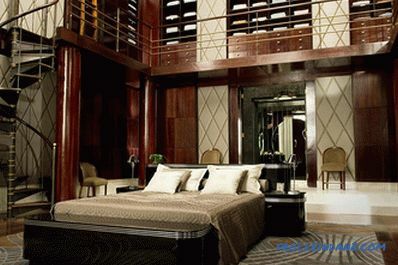 For example, the luxury Art Deco bedrooms are decorated in a beige-golden gamut, which is favorably emphasized by the brilliance of mirrors and crystal, or in the beige-red gamut. Both interior while decorated with pronounced geometric shapes. 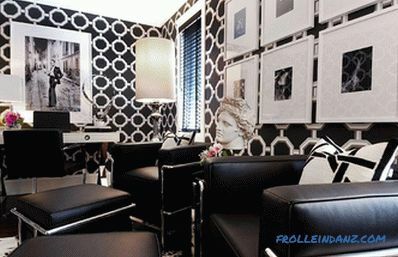 More dark shades are selected for the interior of the living room or office. The union of deep brown and gold looks respectable. 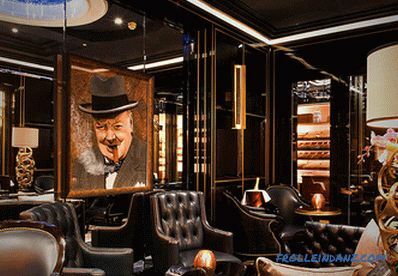 The room is trimmed with wooden panels from natural lacquered wood, leather furniture with gold inserts is picked up, and it is complemented with expensive lamps with exclusive gold legs. 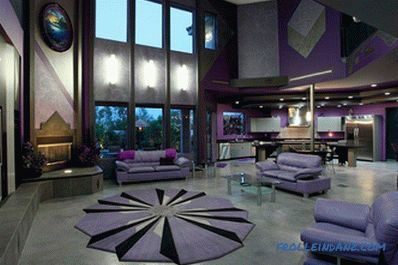 Also for the decoration of rooms choose dark purple and gray, complementing them with black and white. Creating an Art Deco in the interior, you can safely combine colors of a completely different spectrum, for example, red and green. In order to achieve harmony of the interior with this selection of shades, it is necessary to use a neutral color as a base - black, gray or white. Patterns, lines, and geometric shapes are important to create an expressive Art Deco image. animal prints, among which the zebra or leopard patterns are most popular. Art Deco - a style designed to amaze and delight. Therefore, for him choose a shiny, glossy, lacquered surface. 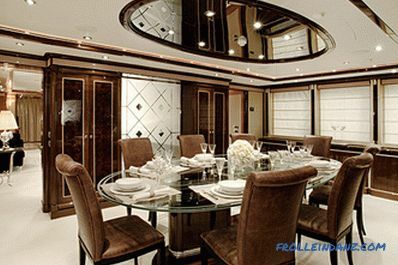 They can be represented by polished natural marble, mirrors, stretch PVC film, self-leveling floor, varnished wood panels. 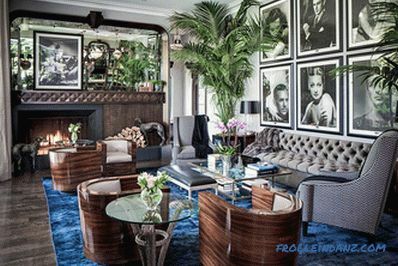 When organizing the space of the room in the spirit of Art Deco, they try to embody an original idea, using for this purpose exclusive objects of decor, furniture and decoration. To decorate the premises do not take generally accessible mass-produced things. Often used for the interior of the ideas of Egyptian, Roman, Chinese culture. 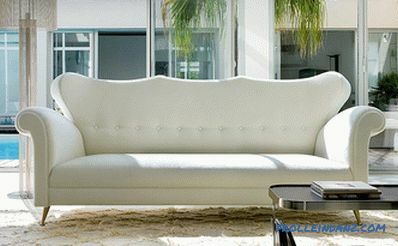 Furniture with simple and comfortable forms is suitable for Art Deco interior design. For the bedroom, select the bed, which is the central object. It can be equipped with chrome legs, high headboard, inlay and patina. In the living room, the main seat is occupied by large leather chairs and a sofa. Furniture should look respectable and expensive. 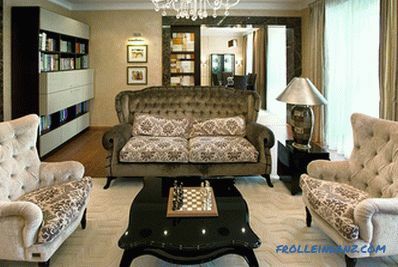 Imitation leather is not suitable for upholstery, but you can use an expensive thick fabric. The soft group is usually supplemented with a tea table with a glass, marble or wooden surface. 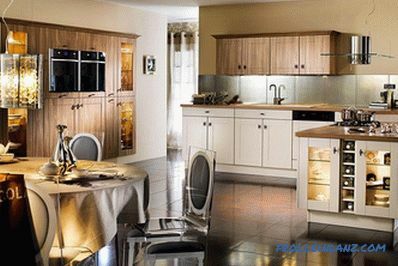 The Art Deco kitchen is filled with the latest technology, organizing the area as functionally as possible. In the middle of the room have an island with a hob, work area, sink. 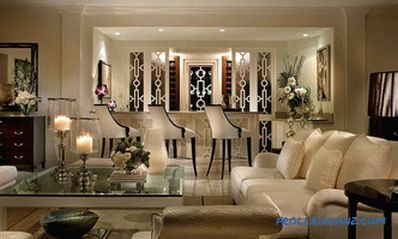 It is sure to have exclusive wine cabinets, illuminated niches, a rich dining area. It is she who occupies a central place in the spacious kitchen. It is equipped with a large dining table and comfortable chairs. 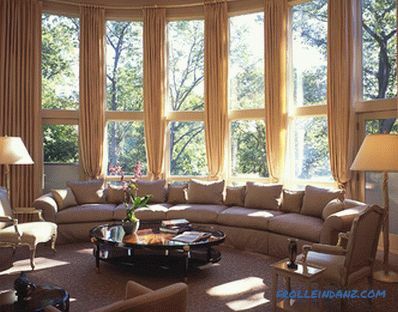 Usually windows are decorated with simple curtains of heavy fabric with drapes. Depending on the chosen interpretation of the interior - classical, historical or modern - you can choose multi-layer curtains with lambrequins, Japanese in the form of smooth canvases or modern light curtains. 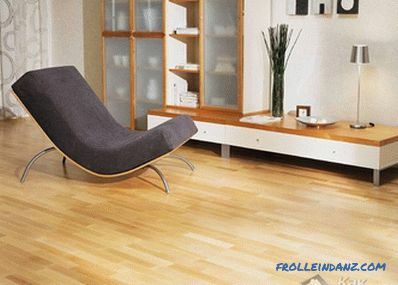 For modern interiors choose a self-leveling floor, usually monophonic or with a geometric pattern. Since the space is filled with exclusive bright objects, the walls they are only a background that sets them off favorably. 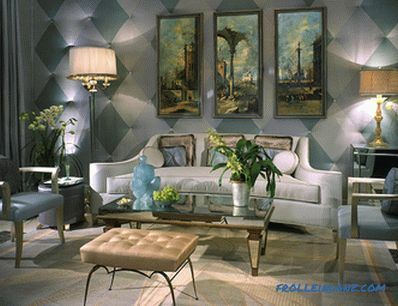 Walls make one-colored, sometimes decorating them with patterned panels. 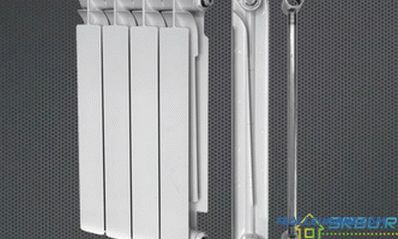 natural stone or ceramic tile (mainly for kitchen or bathroom). 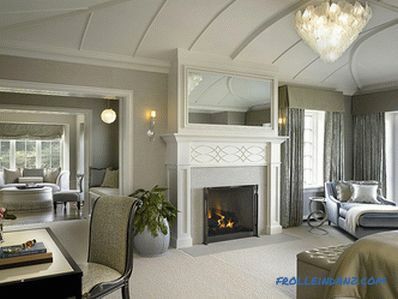 Multi-level, stretch, with beautiful stucco and lighting - any of these ceilings can be in Art Deco style. 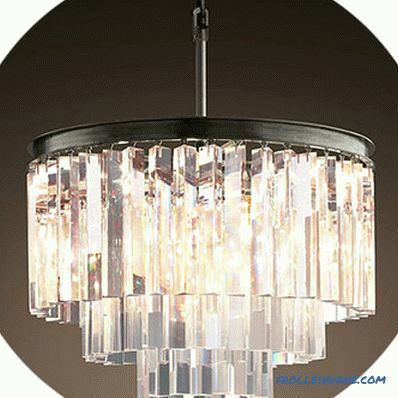 It is usually decorated with a large chandelier, around which there is a patterned rosette in the shape of a circle. 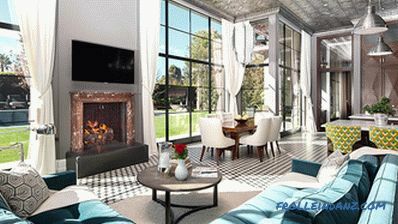 If the ceilings in the room are not high enough, they are decorated with mirrored panels. 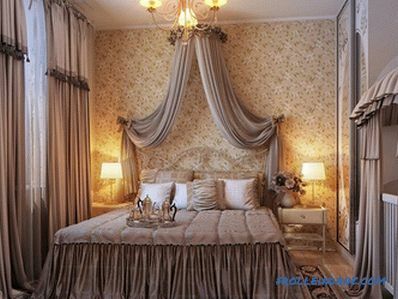 High ceilings are decorated with paintings and stucco, placing artistic elements on different levels. The stretch glossy ceiling is great for living rooms and bedrooms, it can be complemented by spotlights and a central chandelier. Textiles only complement the interior and do not assume the main role. Therefore, they make it monophonic, less often with an ornament. Designers are advised to use textiles with floral ornaments in extreme cases. It is better to choose products in a strip or a single tone. Art objects such as paintings, sculptures, and painted vases are used as accessories. bronze or porcelain figurines . Large specimens of exotic plants are also often put in an office or living room, complementing the overall flavor. 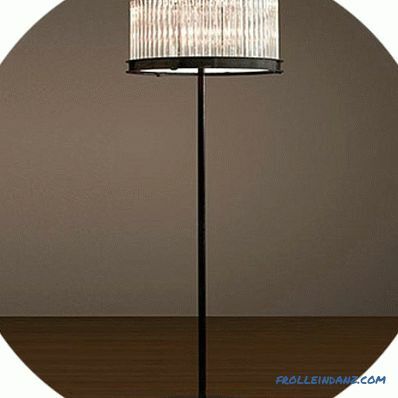 In interior design in Art Deco style, lighting plays an important role. 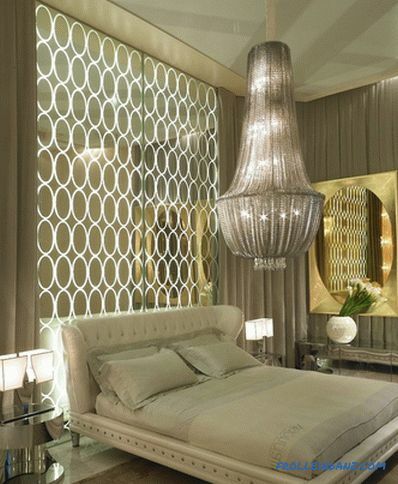 With the help of beautiful wall lamps, floor lamps, chandeliers not only decorate ceilings and walls, but also illuminate all the space, emphasizing the brilliance of mirrors, marble and wood. 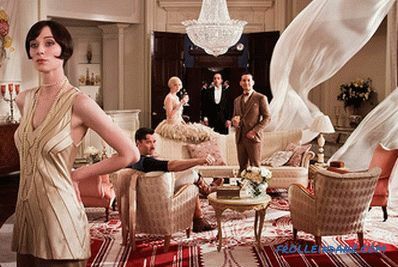 The Art Deco Interior is beautiful and elegant . However, a room decorated in this style can create the impression of randomly collected items that look remarkably harmonious with each other. More examples in the photo gallery.